About 20 people were left stranded after an amusement park ride broke down in southern California on Wednesday. When working, Knott's Berry Farm's 'The Wind Seeker' swings people around at a 45 degree angle. 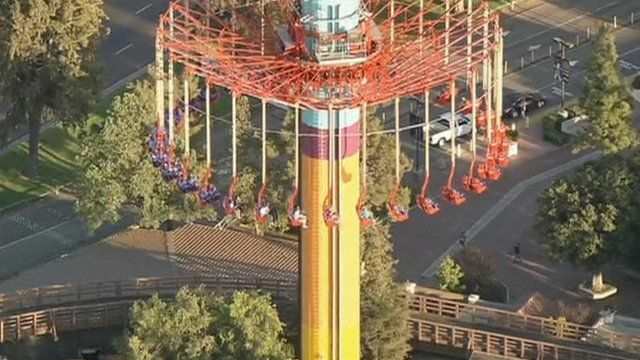 After malfunctioning, its passengers were left dangling 300ft above the park for four hours. Pictures from TV news helicopters show the group finally being lowered to safety.